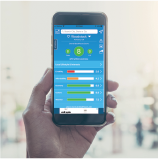 Now includes childcare, taxes, health, housing for home owners vs renters, insurance costs and more when you upgrade to premium. Decatur is a northern Alabama transportation hub and manufacturing center for a variety of goods. The strategic location on the Tennessee River and key railroads brought Northern industrial interests following the Civil War, leaving the city with a strong imprint of fine older Victorian homes and some attractive parks. The Cost of living Index is attractive and crime rates are low for the state and region. The Tennessee River provides some recreational opportunities, but the immediate area has few other leisure or arts amenities. That isn’t all bad, for the Decatur area lies only 25 miles west of Huntsville, a booming commercial and high tech center with plenty of amenities, plenty of jobs, and plenty to do. The location and good labor force have attracted a strong and diverse industrial base with some high-tech spillover from the Huntsville direction. The list of employers is long and everything from rocket engines to cat food is manufactured locally. The town lies on a river plain on the southwest bank of the dammed-up Tennessee River. Land rises gently to the southwest into the William Bankhead National Forest, with hills to 1,100 feet. The climate is a humid subtropical and continental mix, with long, hot, muggy summers, and variable, wet winters with occasional snow. 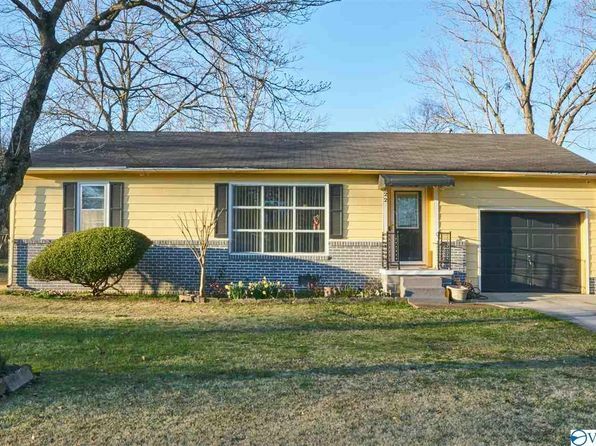 The median home price in Decatur is $81,400. Browse Homes in this Range. 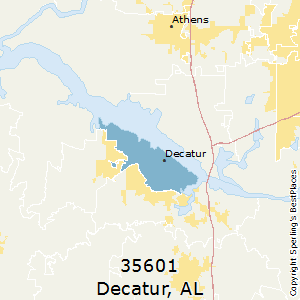 Compare Decatur (zip 35601), Alabama to any other place in the USA. © Sperling's Best Places. All rights reserved.